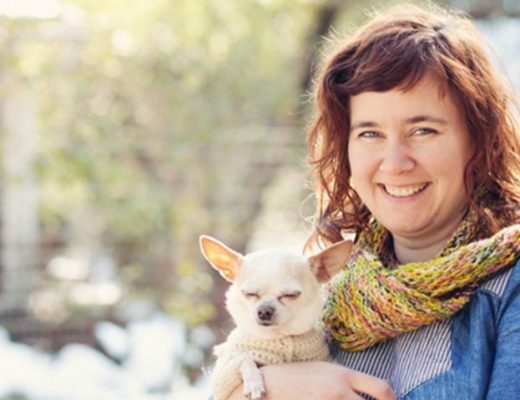 Sponsor: Yarn, a sweet shop for yarn addicts, created by Sunni Scrivner in Eureka, California. Sunni’s love of color is reflected in her warm and soulful shop. Her in-shop pattern line called, Sweet Shop Patterns is available in the store and on their website at yarn-fun.com, where you can also find information about classes and other special events, including their week long “Craft Camp for Kids”, which begins this upcoming Monday and covers fun fiber crafts such as finger knitting, weaving, felting, and more. Call the shop to reserve a spot for this fun event. 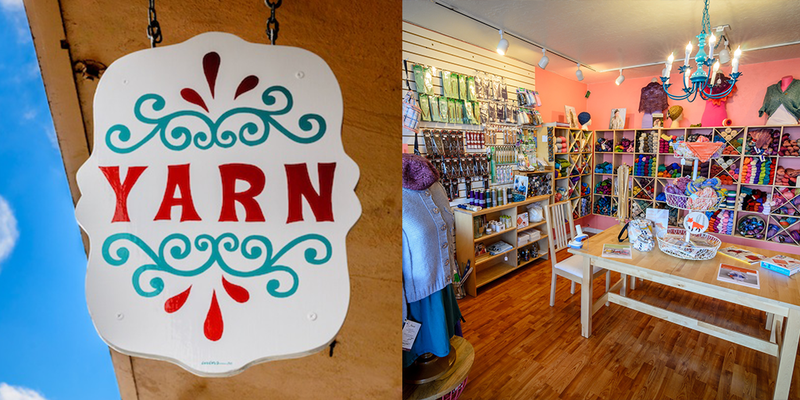 Make sure to visit Yarn when in Humboldt county and follow along on Instagram @yarnfun418. 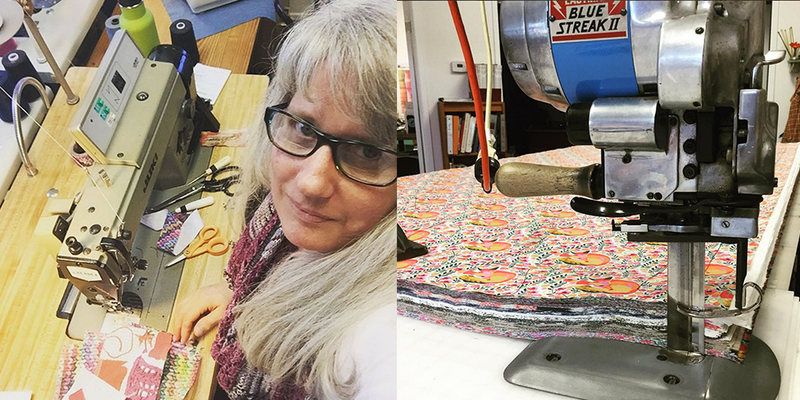 Fiber folk: I love meeting people in this the fiber industry that surprise you with their story, and Saremy is one of those people. 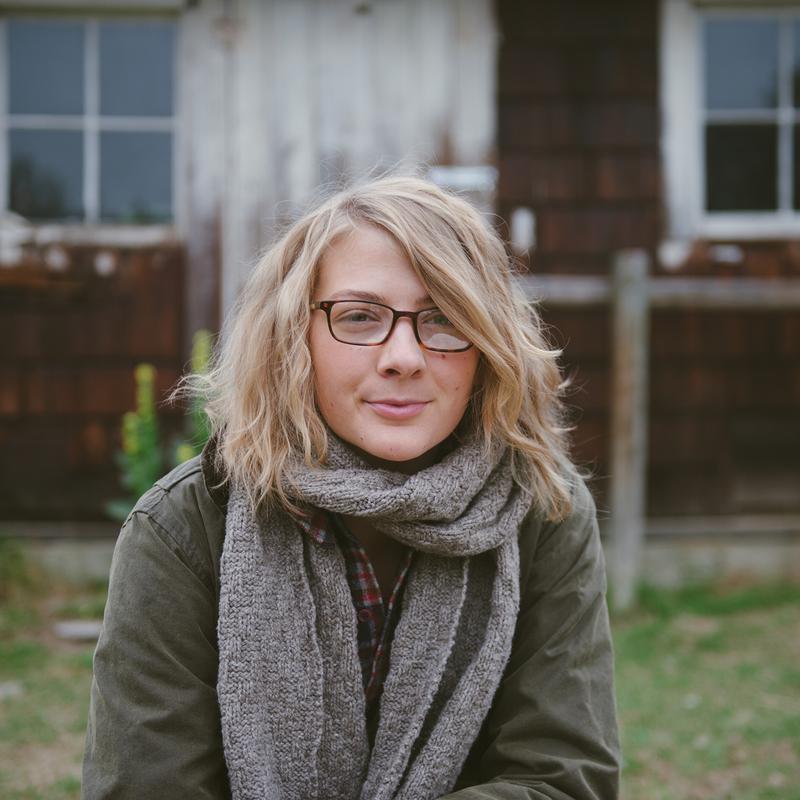 From fashion school to farm life, articulation pattern drafting and now Chicken Boots, her life has been full of adventure and a lot of hard work. 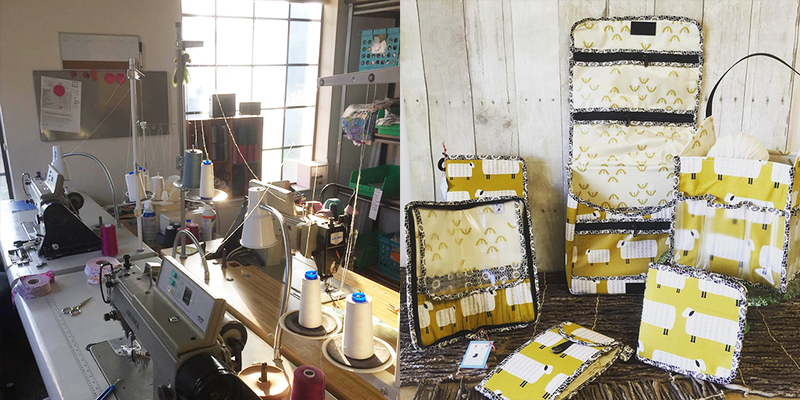 It’s inspiring to watch someone who is so dedicated to domestic production, working for themselves and creating a high quality product. You can find Saremy at chickenbootsusa.com and on Instagram @chickenbootsusa. 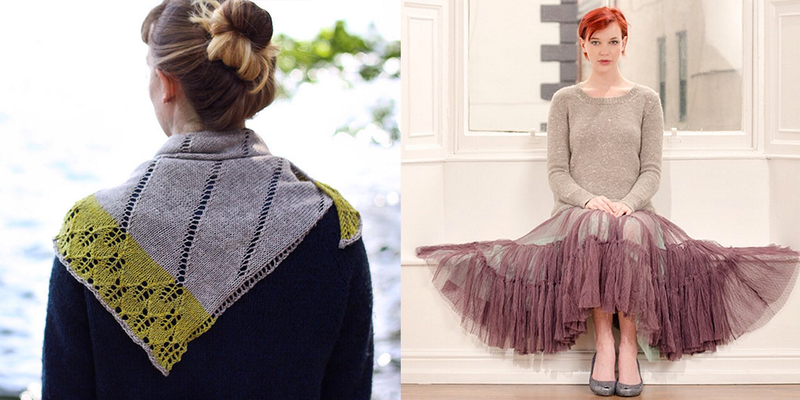 Sponsor: East London Knit was founded by Renée Callahan, a knitwear designer and teacher living in England. After studying fashion design with knitwear at Central Saint Martins college, she began to hoard yarn and a range of knitting machines. The machines are mostly gone now, but her love of knitting and textiles grew more than ever before and she finds the technical challenge of knitting and the unlimited potential of a skein of yarn one of life’s great pleasures. 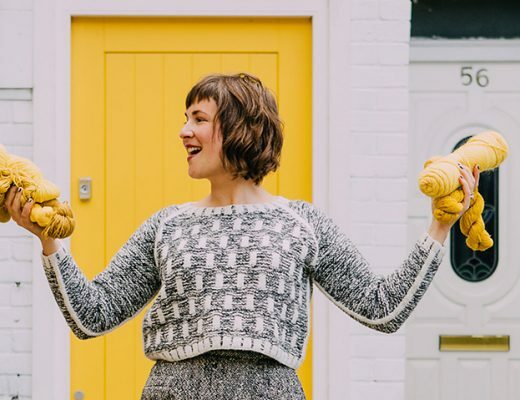 She’s just released her latest knitwear designs, The Zen Variations, a collection of sweaters featuring The Fibre Co. Acadia yarn that embraces the idea that knitting is a physical meditation. Each sweater begins in the same way with a top-down, set-in sleeve construction, and then develops with variations on the theme of Zen. 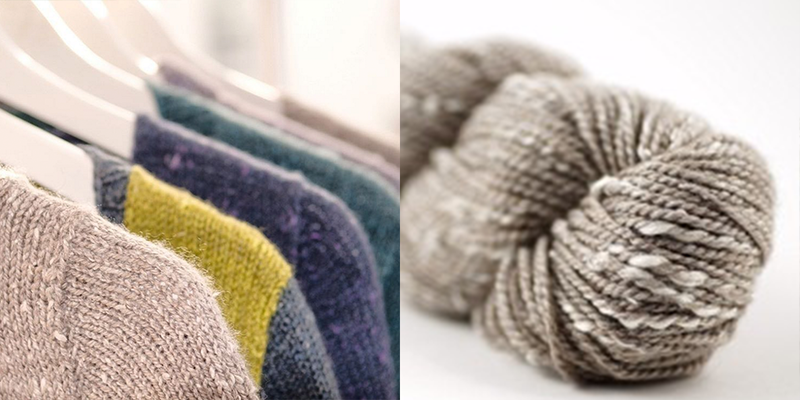 Each pattern has a simple, clean design to showcase the rustic beauty of the Acadia yarn. You can find Renée and The Zen Variations at eastlondonknit.co.uk, on Ravelry and on Instagram @eastlondonknit. Giveaway: The winners of last weeks giveaway is Katie T, you’ve won a 4oz. batt of the Summer Maine Fiber Club from PortFiber and Lisa, you’re the winner of a $30 gift card to PortFiber’s online Etsy shop. Congratulations! 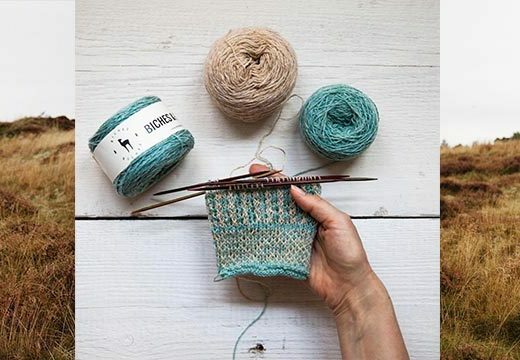 This week’s giveaway is sponsored by The Fibre Co. and East London Knit, and they’re giving away The Zen Variations collections and 10 skeins of Acadia yarn in the color Driftwood. Can I really be the first person to comment? Probably not; my doppleganger somewhere is typing as I do. I loved the journey of Saremy. Variety is the spice of life. Just when you think every type of fibre profession has been covered on Woolful, Ashley finds a new guest whose work has allowed them to engage in a role within the sector that I certainly didn’t previous know to exist! Another interesting interview — thank you. Fibre Company Acadia is on my shortlist of yarns to try, so would love to be the winner of this week’s prize. Such fascinating stores and peoples, it is inspiring to see the work of so many talented craftsmen! Way to represent, Saremy and Sunni! I am so proud to be from the same community! So excited to listen to this episode! I’ve been admiring Saremy’s work for a while now and can’t wait to hear her story. The year ahead of me in middle school was the last grade that was offered home ec. I was so bummed! Great episode. What a lovely combination of pattern and yarn. And thanks for another wonderful podcast. What a great episolde!!! LOVE the story of Chicken Boots!! It’s rare that I like all the patterns in a book or collection, but I like every single one of these patterns. They are all simple and understated, and will go with just about anything. The yarn is lovely and rustic. Thanks for another great podcast. Another interesting journey in progress. I hope Saremy’s current plans work out for her and hope she gets her farm someday. As I literally live with driftwood all around me, the giveaway this week would be fun to win. Thanks, Ashley. I love the timeless look of the Zen Variations designs and am happy to have another designer to follow on Ravelry & Instagram. I’m loving the podcast; it’s like a weekly “spa break” that is simultaneously relaxing and reinvigorating. Loved the episode so much! I really enjoyed listening. I was walking my dogs while I listened. They got an extra loop around the park so I could continue listening through the end. 10 skeins?!? Amazing! Thank you for another excellent podcast and generous giveaway! Thanks for the great episode! It’s great to hear the diverse paths to a fibre future! Great episode! And lovely giveaway. I’d love to win that generous prize. Thanks for another great episode! 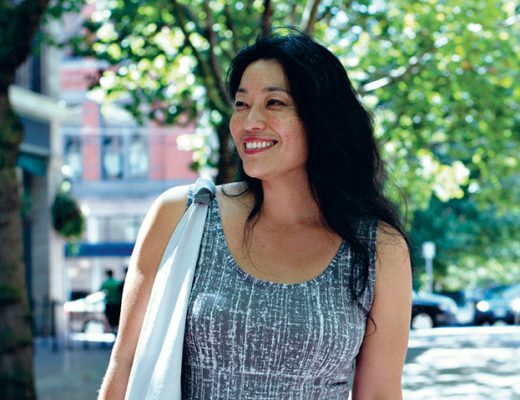 I loved her insight and thoughts on being a maker entrepreneur. Very insightful! I’ve got a few back episodes to get caught up on, but I’m saving them for when I’m on summer break in a couple of weeks. Squeee! Thank you for the podcasts…they’re always so good! Loved to hear her story. Plus what a great giveaway! This episode is one of my favorites so far! Really appreciated Saremy sharing her story. Thank you again for another great story and giveaway. 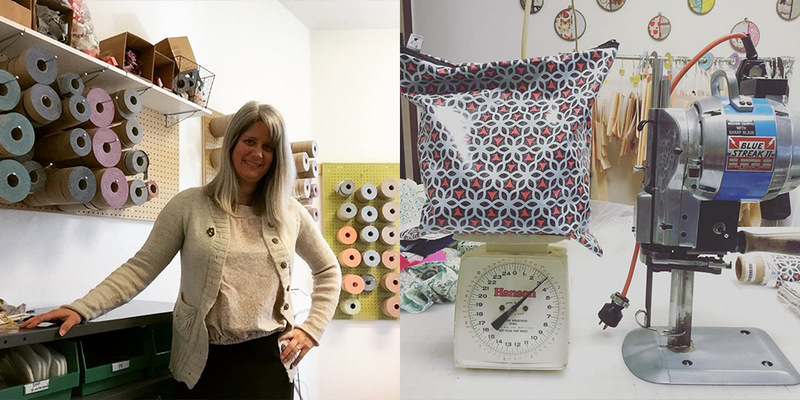 Great episode to listen to as i sewed! Love Chicken Boots bags! Really interesting perspective on the clothing industry. I second the thought expressed in comments above– just when you think you know the different components of the fashion or fiber industries, the podcast gives voice to a new insight! Thank you! Very interesting podcast, thank you for sharing. Love the sensible, practical approach to a creative industry. Thanks! Thanks so much. Love listening! Great shawl by East London Knits, beautiful. This episode reminded me of the philosophical aspect to knitting. When Saremy spoke of the process rather than the result and the importance of enjoying it and not seeing it as a chore. I am fascinated to see the Zen variations and thank you for a beautiful podcast. Thanks for another great episode. It’s so inspiring for me to hear people talking about their journeys to doing what they love. Thanks for these informative podcasts. Like so many of your other guests, Saramy’s current work has so many layers of life experience under it which we wouldn’t know otherwise, but which make it what it is. So interesting! Chicken Boots is so cute! I admire those sewing skills. Thanks for sharing Saremy’s story! Enjoyable episode, engaging guest. And what a generous giveaway–count me in! Very relatable. Brought me back to my home economics classes and princess seams. Another great episode! Love the story of Chicken Boots (and the name!)! i love the way i learn about different aspects of the industry on this podcast! Knitting is my favourite form of meditation. Reading about it, looking at possible projects and being inspired by your podcasts can keep me happy for hours. I don’t think I could ever tire if this podcast. Each episode is justt so beautiful and inspiring. I reallthink enjoyed the interview this week. And what a generous giveaway! Meadow is one of my favorite yarns so I’d love to try Acadia! Love hearing Saremy’s journey and look forward to checking out Chicken Boots products. And….. what a giveaway this week! What a lovely episode! Looked at the Chicken Boots website, can’t wait to order. I love your podcasts and enjoyed listening to Saremy’s story today. Great stories and people every time. love it! I live this yarn! So soft! More of it in my life, please! Thanks for the podcast. Perfect crafting companion. 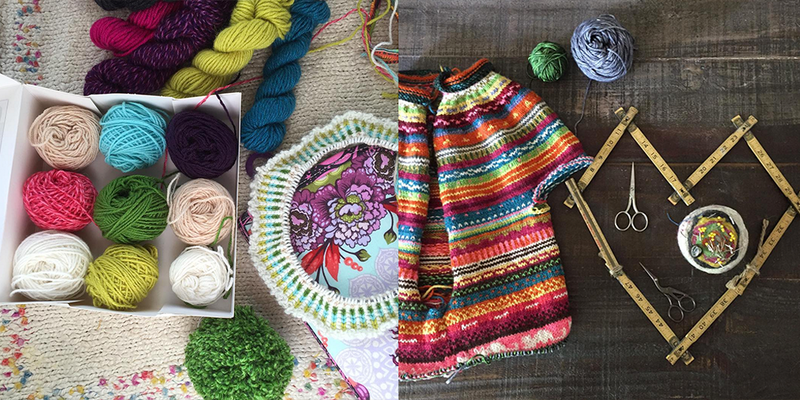 Love all this inspiring stories about yarn, color, fabric and passion. The pics are beautiful too. I love to listen and knit and let my mind imagine all these things….. Thank you for sharing and inspiring this week, I look forward to these unique stories every time! wow! A seriously amazing story and I loved every second of it! 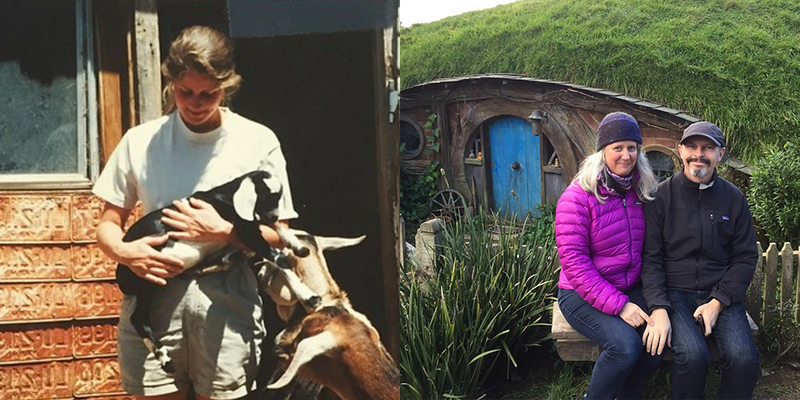 I too am a knitter who took a year to farm so I was happy to have discovered Saremy’s story and that there is a kindred spirit out there!! Is this of yours a business or a hobby? It’s a way of life! Loved it. This was one of the most interesting interviews I’ve heard on Woolful in a few months. I appreciated her perspective that came with such varied life experiences. I immediately went to her website at the conclusion of this show. What meticulous craftsmanship and attention to detail!! !’ Prices are standard for solar products but I’d say hers are above average in every way. Love your podcast so much! And Acadia in Driftwood is one of my favorites too! Thank you for another great interview. We just got Chicken Boots in my LYS(Fort Collins, CO) and the Sloth babes are going fast! So well made! Love Fibre Company, as well! I LOVE this yarn and this color! Just finished listening to this podcast and am so happy for Chicken Boots! Thanks so much, I look forward to every episode! Thank you again for another wonderful episode. It always adds a little inspiration to my commuting time. So looking forward to listening to this one! Great wisdom and totally inspiring! Very enjoyable podcast as always! Loved this episode! Thank you for finding interesting people to share with us. Love her story and her work ethic. I’ve been dying to try some of The Fibre Co.’s yarns! This is the first time I’ve listened to your podcast and I thoroughly enjoyed it. I’ve purchased products from Chickenboots and loved her story. So glad she isn’t selling herself short and charging a price where she can make money. Another fascinating interview with a compelling entrepreneur! Thank you! Wow. The last bit of that interview hit me right in the heart. KAPOW! “Is this a hobby or a business?” Yes! Helping stoke my fire. Summers have been hard, but I also can’t see myself doing anything else. Gotta make this work. Thank you again for a lovely episode, Ashley. And thanks for sharing your story, Saremy. Love this podcast! So excited when a new episode comes out! And I still have lots of back episodes to catch up on, because I just discovered it recently! That was another great interview. Thank you, Saremy and Ashley! What an inspiring story! I loved Saremy’s point about makers needing to be honest with themselves and their customers about just how much work goes into everything, especially when you do it with so much heart. Would love to win this yarn! 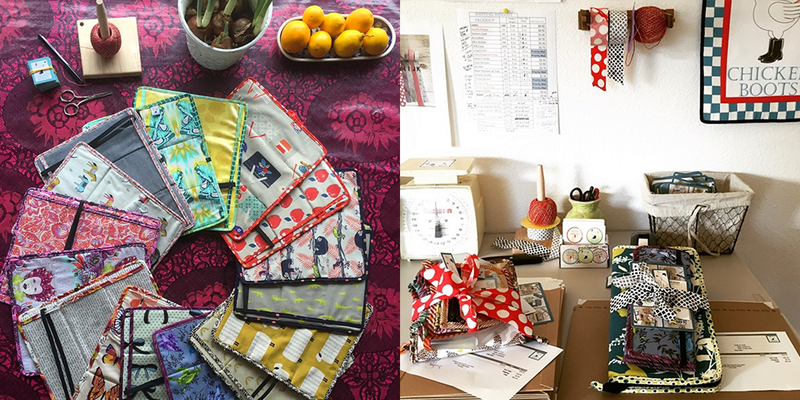 Wonderful episode – Saremy’s journey was so interesting and her products are just wonderful! I’m a new listener and I’m hooked. Thank you for sharing these stories. 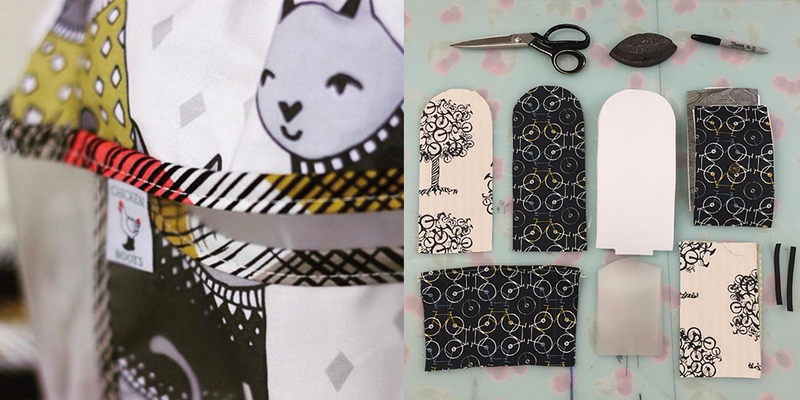 It’s so fun to hear about pattern making and how Saremy really took off with learning such a terrific skill. So great to hear about the realities of small business ownership! Thank you for yet another insightful post. Thank you for another wonderdul podcast. I really appreciate the honest conversations that are had on your shows. Just enjoyed the interview on a train from London to Durham. What a lovely way to pass the time. Thank you. I enjoy hearing a designer’s journey. Zen looks fun to knit! I loved hearing of Saremy’s journey. I especially loved her candor about how hard the journey has been–some folks just seem to “fall into” their lifestyle and/or make it sound completely effortless , but I always assume there’s some much in the background. P. S. I *love* the name Chicken Boots. 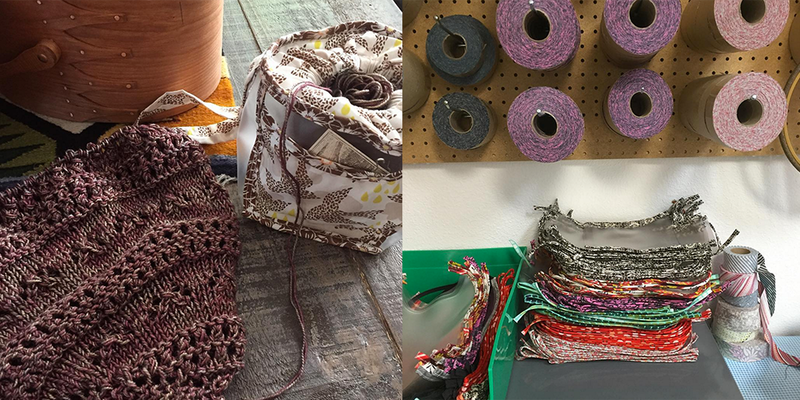 I loved hearing about Saremy’s journey and her love for making things. I happened upon Chicken Boots through another instagrammer after having given up looking for the perfect needle case. Every case I looked at was ok, but never seemed quite practical. I was so excited when I saw her cases they were perfect, slots and pockets and zippers (none of this wrap around laces nonsense 😛 ) and delightfully whimsical too. I have bought a few needle cases and a couple of project bags and I absolutely adore them. Thanks for this great interview. I really enjoyed Saremy’s story, and I appreciated how candid and transparent she was when discussing the next stage in developing her business. I totally get that feeling of the fear of the unknown and I applaud her for being so brave! An inspiration. This episode was so refreshing and interesting, Ashley. I loved hearing about Saremy’s path to her current work, and about her business endeavors. I, for one, was not familiar with Chicken Boots, so thanks for opening that interesting door for us listeners! Absolutely inspiring and great work as always. Thanks Ashley! !